This educational primer for youth is disguised as fanciful fiction offering a bit of magic and mystery. Steve Sheridan’s first children’s book, The Balloon of Discovery, is a bit of fanciful fiction disguising an educational primer about caring for the environment. The story follows a young sister and brother, Alice and Tom, as they chase a magic balloon through an ever-changing landscape, offering numerous opportunities for observation of everyday environmental hazards. The balloon stops at strategic places along the way, and mysterious young guides appear to offer the children nature-friendly advice about recycling, water conservation, and air and water pollution. The topics are timely and important. The book was initially published in the United Kingdom, however, and some of the advice, such as directions for the separating of recyclables, does not necessarily apply to readers in the United States. 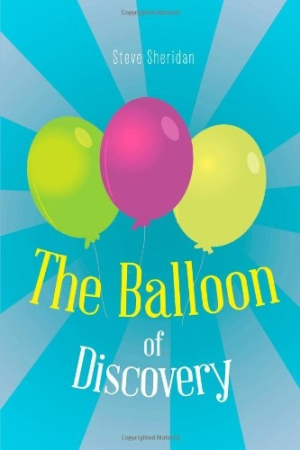 Intended for young grade-school students, The Balloon of Discovery is severely hindered by its lack of illustrations. The story speaks of bright colors, magic and mystery, and Alice and Tom’s feelings of “wonder and amazement” as they fly “further than they could ever have imagined,” but the excitement and enthusiasm feel oddly flat without the accompanying illustrations that young readers have come to expect. So much of any book for young children depends on the integration of story and image, and the lack of pictures here does a great disservice to a potentially valuable message. Considering the recent controversy about the environmental impact of balloons, it is curious that Sheridan has chosen a balloon as his vehicle of discovery about environmental issues. The release of balloons on strings, in particular, has been so hotly debated that encouraging the practice seems not merely incongruous, but environmentally insensitive. In a book about the environment, even a brief discussion about the virtues of latex balloons over Mylar would be perfectly appropriate, and having the children release their balloons without strings, and explaining the reasons for doing so, might serve as a better lesson. There is a good book at the core of this effort, but The Balloon of Discovery is not yet ready for a hearty recommendation.